A superior nourishing therapeutic balm with the healing properties of Shea Nut Butter, Rosehip, Evening Primrose, Jojoba, Borage & Apricot Kernel Oils that may assist aged, cracked, damaged and dehydrated skin. Will calm stressed and sensitive skin and help to soothe eczema. 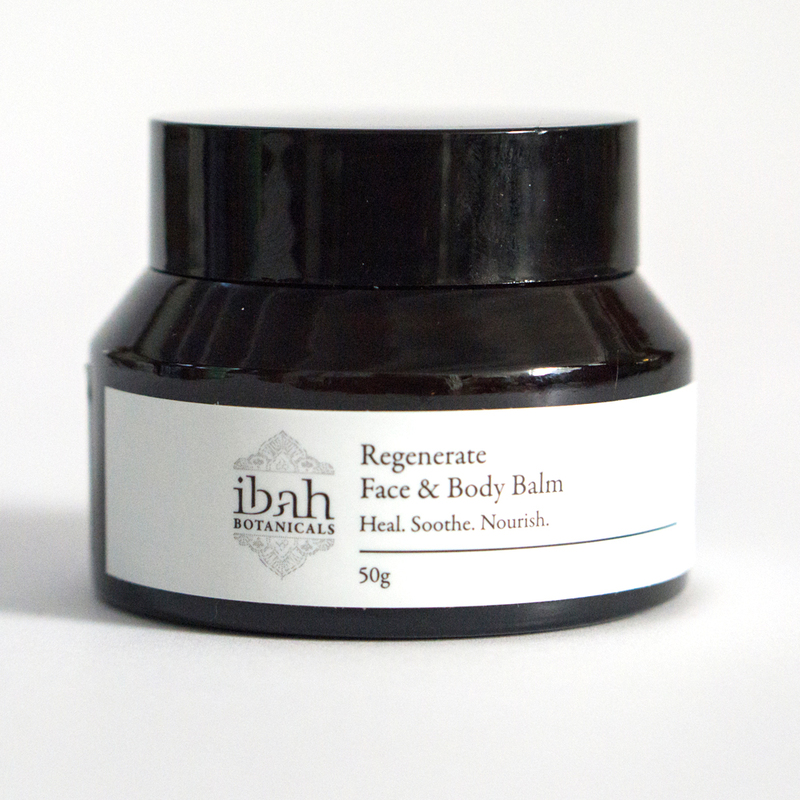 Directions: Apply a pea size amount to face after ibah cleansing and toning or wherever healing is needed and massage gently. Also can be applied to body if healing is needed. *Shea Nutt Butter, *Evening Primrose, *Rosehip, *Jojoba, *Apricot Kernel & *Borage oils with essential oils of *True Lavender, *Artemisia, *Carrot Seed, *Yarrow Blue, *Roman Chamomile, *Palmarosa, *Patchouli, *German Chamomile, *Sandalwood and *Geranium. *Denotes Certified Organic.